I arrived 5 minutes late for the third and last day of the congress after staying out late the night before. Hitting the snooze button one two many times was a big mistake as one of the best keynote presentations kicked things off. Dr. Carla Stecco's overview of fascial anatomy was simply top notch. 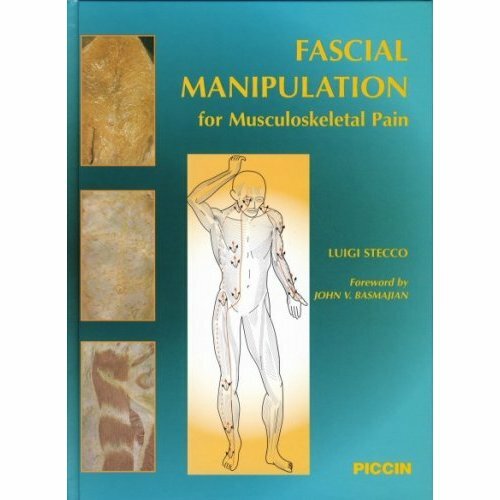 Side point: Fascial anatomy, I think, is the most important aspect in the world of fascia for trainers, movement therapist and strength coaches. The biochemistry and physiological changes that can occur are interesting, yes, but the anatomy of the fascial network is what gives use people that deal with movement the justification on a structural level for compound, multi-joint movements. From a structural point of view, we don't have any good rational for prioritizing these multi-joint movements if we just look at muscles and bones. In fact, if we just look and muscles and bones we'll conclude that machine based, isolation type exercises are the way to go. And that's exactly what happened in the eighties and nineties. It's why gyms are full of equipment and don't have open space to move. The academic textbooks that detailed the structure of the human body were (and still are) missing one key building material and it has fundamentally sent us down the wrong path. This is all changing now due to the work being done by people like the Stecco family. And my god is progress being made! My knowledge of fascial anatomy didn't extend much passed the intro course I would call Thomas Myers' textbook "Anatomy Trains". As groundbreaking a book as that was, it really was a first step. The Stecco's work is the next. What's progressed?? Well, just one of many points made during Carla Stecco's presentation was how during their dissection work they found multiple spots in the body where the superficial fascia bound with the deep layer. They found these specific spots occurred in every body they examined. They then mapped these out to form a very different model to anything that's been presented so far. Their model suggests functional zones vs. Myers' lines. Obviously there's concrete evidence for both, so it just goes to show that we're still just scratching the surface in terms of our understanding of the structure and function of the fascial system. But the point I really want to hammer home is that this matters. People who deal with movement need to be up to date with this, and it's progressing fast. Carla Stecco's presentation was brilliant and got the standing ovation it deserved. Once everyone took their seats again Dr. Jay Shah took the stage to give a presentation on ultrasound and microanalytical techniques. So what the hell does that mean?? Well, he developed ways of identifying myofascial trigger points (MTrPs) using a spectrum of sonoelastography images. Basically, up to now trigger points could only be identified by a trained sense of touch. He's figured out a way to use computers. This is huge for research as now we can answer questions like, did a specific treatment release a trigger point? In a nut shell, being able to accurately quantify pre/post and compare is what his team has brought to the table. This isn't relevant to me yet, but the research that will come out due the this technique will. You've now got your search terms, keep an eye out for the research that will inevitability come out in the next few years. Boy was that needed as to continue with the theme of the day, a panel discussion on fascial imaging techniques followed the short break. Leon Chaitow lead the table containing Helen Langiven, Diane Lee, Raul Martinez Rodriguez and Antonio Stecco. For the purpose of blog brevity I'm only going to pick two presentations to mention, but all were interesting. Diane Lee, yet another Vancouverite who has reached intentional status as a educator, presented on how she used ultrasound to aid in the treatment of diastasis rectus abdominis (a separation of the stomach muscles down the middle, most commonly due to pregnancy). I was shocked at how little is known about this condition, and how it effects proper core function, but of course Diane is leading the way. Needless to say, with the lack of research Diane Lee's presentation left more questions than answers. The take home message was that a complete rejoining of the rectus abdominis isn't necessary for a functional core but these patients often need very specific retraining of how the properly activate their core. They all had a issue with proper core activation, but that issue changed from patient to patient. There is no standard treatment that will work across the board. 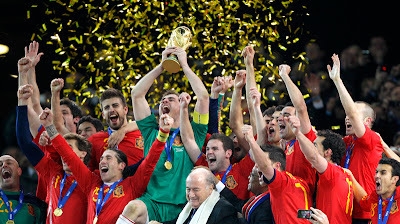 The other presentation I want to mention was Raul Martinez Rodriguez, the head physio for the World Cup winning Spanish soccer team. This guy would have been the rock-star of any conference in Europe. Here, he was just another physio. He started off his presentation thanking his team of researches, and then proceeded to list off some of the Spanish soccer team......no one at the congress got it. He stood on stage for a second waiting for a response. I almost burst out laughing at back of the room as everyone there though Torres was a lab rat. For him this was clearly a foreign experience as the audience only cared about what he was doing do the fascial network, and gave him absolutely no credit for who's fascia he was doing it to. It was a really entertaining dynamic, one that I think Raul Rodriguez really wasn't used to. 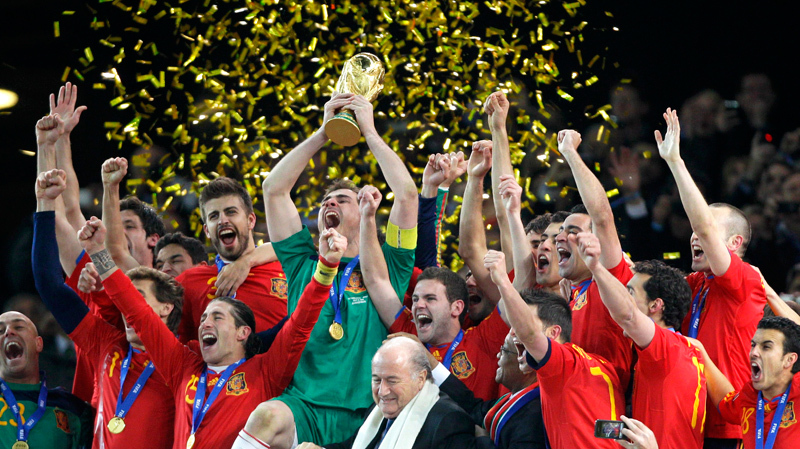 So why did Spain win the World Cup? Well, they have green tissue. Simple as. After lunch there were 2 parallel sessions, but I needed a mental break. Information overload had officially taken a firm grip of my brain. I took this chance to talk to some of the people in attendance; Thomas Myers, Erik Dalton, Robert Schleip, Nick Cress, Antonio Stecco...just to name a few. It was great to have to opportunity to shake hands and spend a few minutes picking the brains of some of the top minds out there. Honestly though, I had some of the best conversation with other people who were just attending the congress. Every lunch/coffee break I tried to talk to someone and I was constantly amazed at how open, friendly and smart everyone was. A humbling experience where I really learned how little I actually know about the human body. The day finished off with one last panel entitled "Art and Science/Research and Practice – Mechanisms to Improve Communication to Promote Translation". It was a perfect panel to rap the congress up. Somehow the panelists managed to pull the diverse range of topics together and give focus and direction to what could have otherwise been a very scattered ending. Slow clap for the organizers for that one. Brian Degenhardt lead the panel which included Geoffrey Bove, Robert Schleip and Paul Standley. The highlight for me was Dr. Maureen Simmonds talk. Her life experience as a professor, patient and student gave her a wisdom that simply demand attention. She seemed like a woman who had seen it all and I absolutely love listening to her talk. During her talk she had numerous thought provoking quotes that where just another part of her natural dialogue. They just rolled off with ease, but really it seemed like every second sentence begged for 5 minutes of contemplation to fully understand what she was saying. One in particular quote has stuck with me since. "We all have views that are right, but incomplete"
Simple, to the point, but absolutely brilliant. I think this quote is a excellent response to the numerous training debates that are happening all too often online these days. It also applies across disciplines though; trainers, movement therapists, physios, chiros, massage therapists...."we all have views that are right, but incomplete". This congress was just another small step in me trying to from more complete views. It was three of the most intense days I've ever experienced. It was outside of my comfort zone of full on strength and conditioning stuff, but the benefit of this was a whole new set of ideas and view points. It could also prove to be a turning point in my career as it confirmed my desire to become a regestered massage therapist. The fact that I got to present on stage was a huge cherry on top of what was a already fantastic cake. Fascia Congress 2012: nothing short of brilliant. Thanks for the article. I appreciate it all the way from Hong Kong as a Fascia Therapist. I am here trying to educate people about Fascia Therapy.